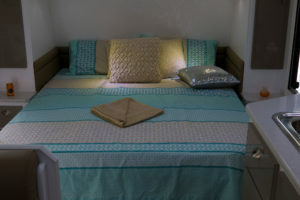 Welcome to the La Vista El Nido Family Caravan (The Nest). 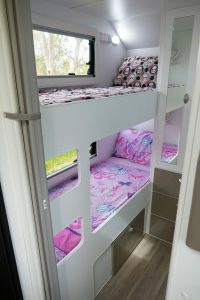 It’s the answer for families tired of towing dinosaurs. 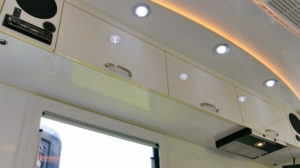 The El Nido is a 19ft 6” family-built caravan with extreme value and a build quality to match. 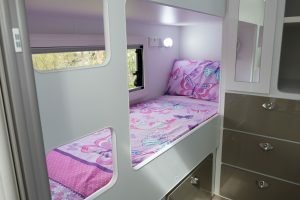 Allowing ultimate room and catering for the growth of the kids, travel our magnificent country together in style and comfort. 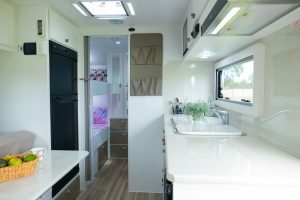 This van has been designed by families, for families, with 1.9m bunks and a very generous en-suite, including all the mod cons available. 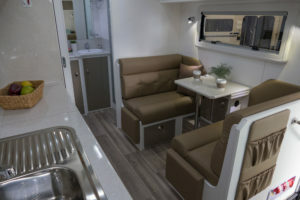 With variable suspension packages and variable internal colours to suit all living tastes, the El Nido is made for taking families on the ultimate caravan adventures. 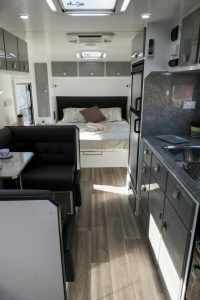 Although it’s a 19’6 for easy towing, the clever design internally makes it seem much bigger once you’re inside, with space to take 5 people on holiday and sleep them all. 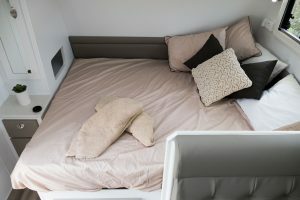 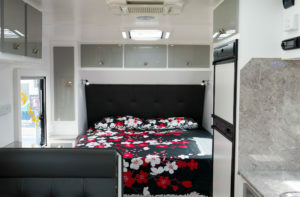 The huge En-Suite is matched by the Queen Size East West Bed and there’s a stylish Drop Down L-Shape Lounge that converts into an extra bed. 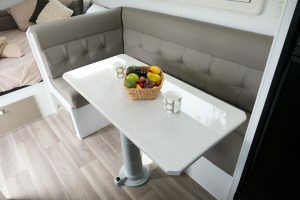 Lots of 12v Power points, USB ports and iPad holders mean that you won’t have to listen to the kids moan about no tech. 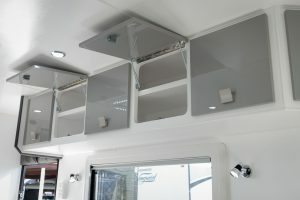 This van is hi-tech! 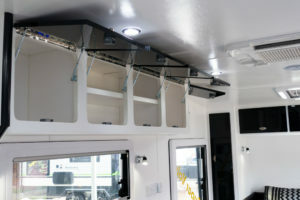 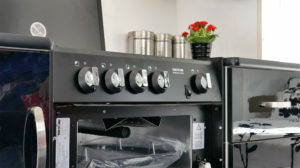 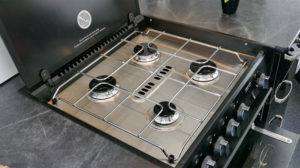 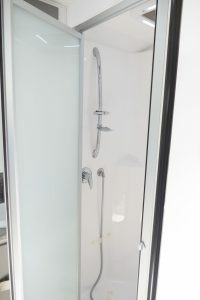 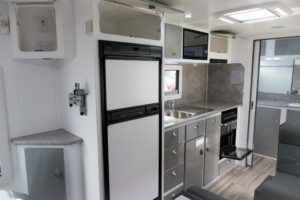 Other important features include a Grey Water Tank, Rear View Camera, Full Oven, Anti-sway Control and TONS more (listed at the bottom of this page in full). 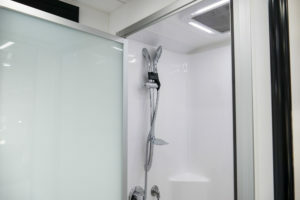 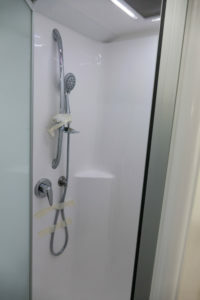 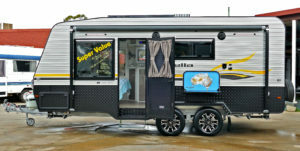 Call Rockingham RV today on 9528 1151 to see the El Nido Caravan or visit 87 Dixon Rd, Rockingham. 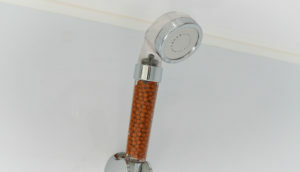 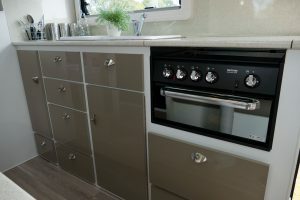 If the Riviera isn’t your cup of tea, why not consider the excellent La Vista Range? 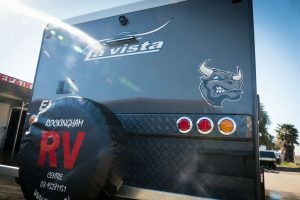 Site production and all media by our friends at Zulu Media and Citrus Studios. 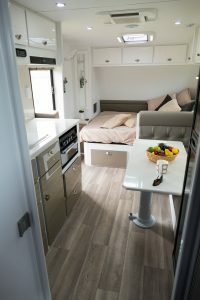 Ideal for those who like to explore the great country of ours while still enjoying style and comfort, the all-new La Vista Bella 18’6 provides a host of impressive additional features and extras in the standard price. 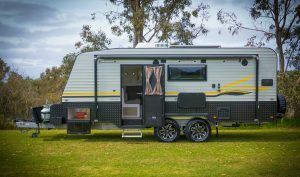 Designed specifically to explore Australia’s legendary landscapes, the Bella Caravan is exclusive in Western Australia to Rockingham RV. 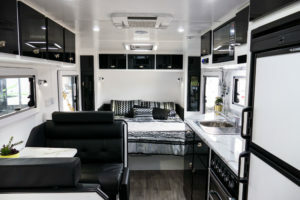 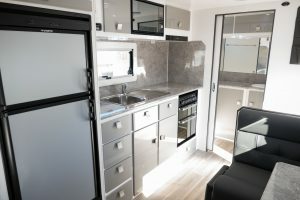 The modern spacious interior reveals a luxury kitchen complete with double door 164L three-way fridge, and the high-quality Swift stove and oven let you take the comforts of home on the road with you. 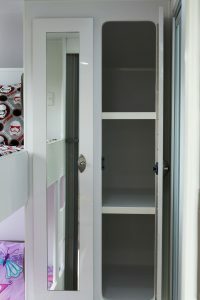 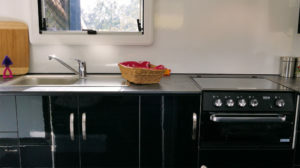 The cabinetry boasts premium acrylic finish, complimented stylishly by attractive chrome push button handles with inbuilt lock mechanisms. 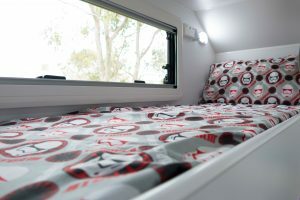 The queen size Australian made mattress makes every night’s sleep a great one, sitting pride of place in a bedroom filled with natural light from extra-large Euro-style windows . 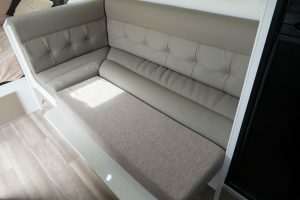 The lounge seating provides the ultimate comfort in your choice of 100% leather upholstery. 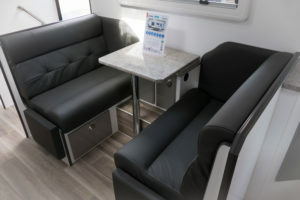 The Bella comes with the latest in electronic drive assist technology including ESC (Electronic Stability Control) plus a reversing camera and, with its unbeatable price tag, the La Vista Bella offers holidaymakers a great value home that they can take anywhere. 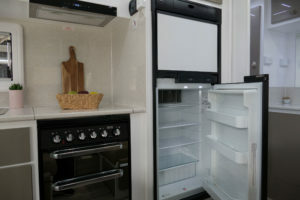 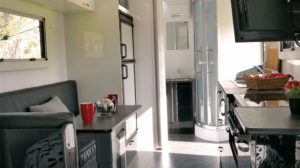 See more La Vista Caravans here. 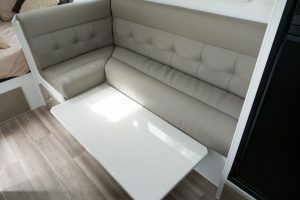 Design, construction and media by Zulu Media and Citrus Studios. 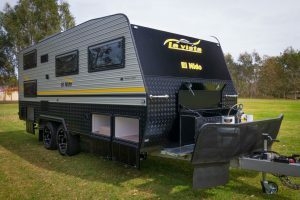 The La Vista El Toro is the best value for money Offroad Caravan on the market. 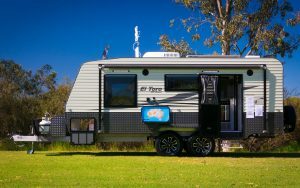 This custom-built, tough, go-anywhere caravan is built for Australian road conditions using 3.5T Control Rider Independent suspension with shock absorbers and 16″ A/T wheels. 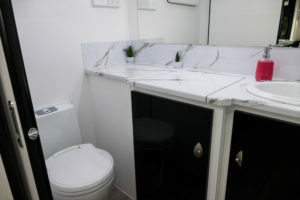 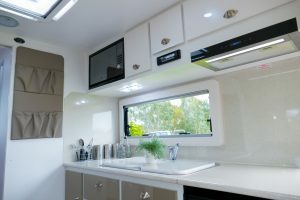 Elegant, stylish and spacious, the El Toro Offroad Caravan is proudly Australian made and built by La Vista Caravans with over 25 years experience in the industry. 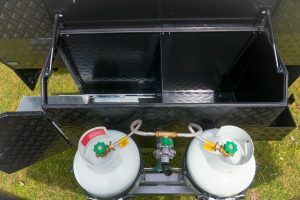 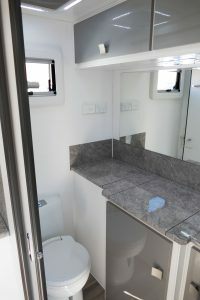 With self sufficient power and water systems in mind, we’ve designed both of these models to give the customer the ability to free camp for extended periods of time in remote areas. 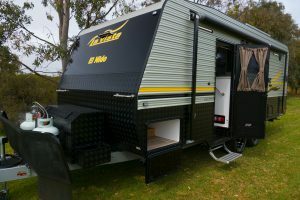 The El Toro has an extended A-Frame, 2 x 150W solar panels with regulator, 2 x 100amp AGM batteries, gas bayonet, 2 x 9kg cylinders, 2 x 95 L fresh water tanks, 1 x 85L grey water tank, under van protective plumbing, high checker plate sides, back and front. 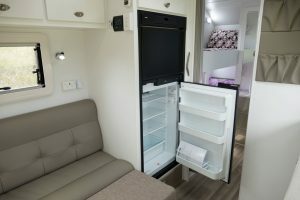 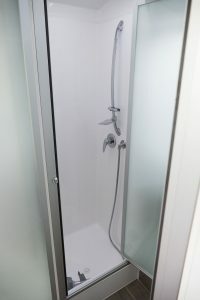 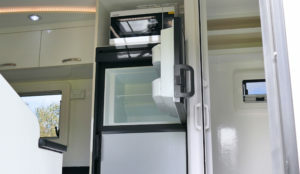 Plus there’s an external shower, large tool box with generator slide out, full tunnel boot, entertainment pack (which includes stereo/TV/DVD with internal & external speakers), large full en-suite, L-Shape/Cafe dinette seating and a large kitchen,190L Dometic compressor fridge, Thetford toilet, reverse cycle air conditioner, Swift full oven, a 25lt microwave and lots more. 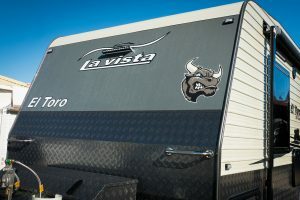 With its unbeatable competitive price tag, the La Vista El Toro offers holiday makers a great value holiday home they can take anywhere. 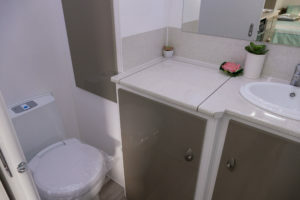 Design, construction and media of the site by Zulu Media and Citrus Studios. 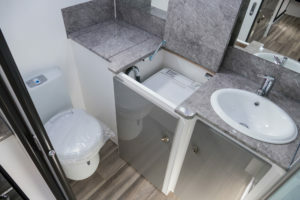 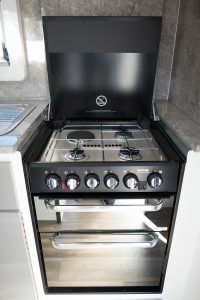 With the popular La Vista Paloma 19″6 On-Road Tourer Caravan, enjoy the benefits of the quality construction synonymous with La Vista for a very affordable price. 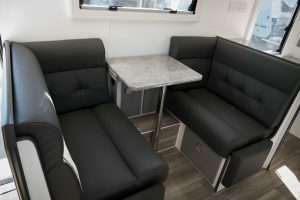 The La Vista Paloma is an On-Road Tourer, perfect for travellers looking for adventure in comfort and style. 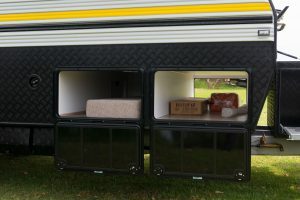 The spacious on-road model was built to navigate the Australian landscape, with lots of standard extras others will charge you for. 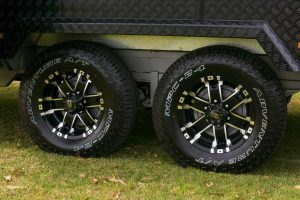 Built on a Supagal G & S chassis with Slimline suspension and 15″ A/T tyres, you have both strength and durability. 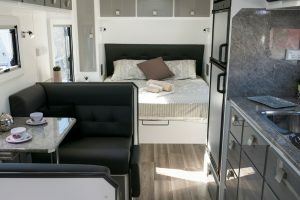 Living and storage space is plentiful; generous floor plans are paired with large size Euro-style windows maximising internal natural light, 100% leather upholstery and spacious floor to ceiling wardrobes with built-in dressing tables. 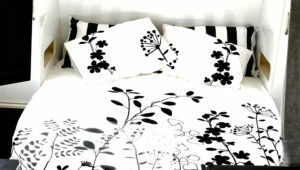 And the Australian-made inner spring queen size will ensure a great night’s sleep every night. 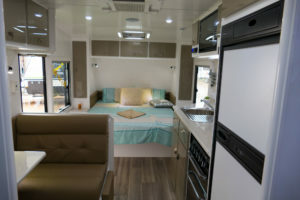 The Paloma comes with the latest in electronic drive assist technology including ESC (Electronic Stability Control) and a reversing camera. 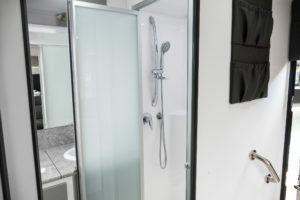 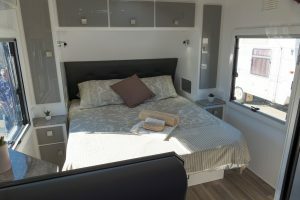 With its unbeatable competitive price tag, the La Vista Paloma offers holidaymakers a great value for money holiday home that they can take anywhere. 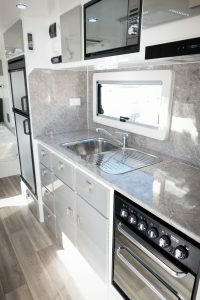 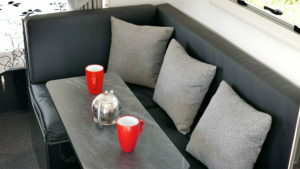 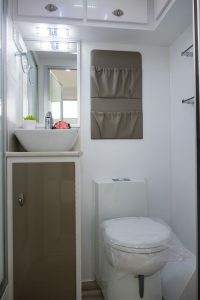 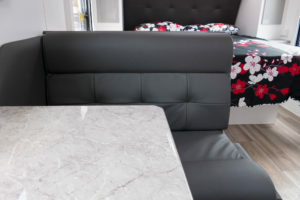 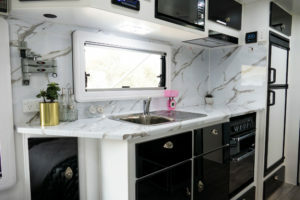 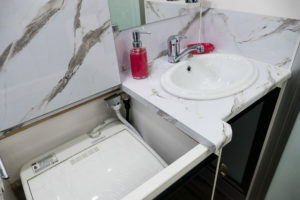 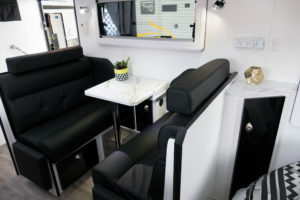 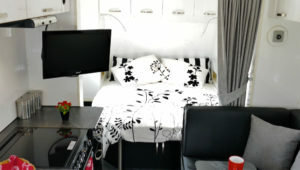 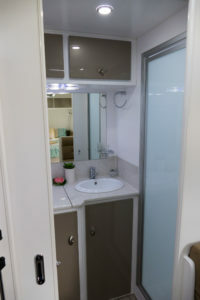 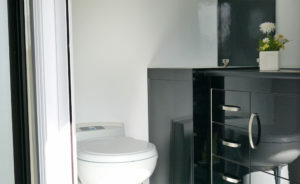 Click here to see more Caravans from Rockingham RV. 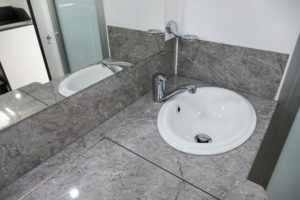 Website design, construction and media by Zulu Media and Citrus Studios.